The three high performing products work well together to give your hair a boost of volume, while gently cleansing, detangling and revitalizing fine, limp hair. 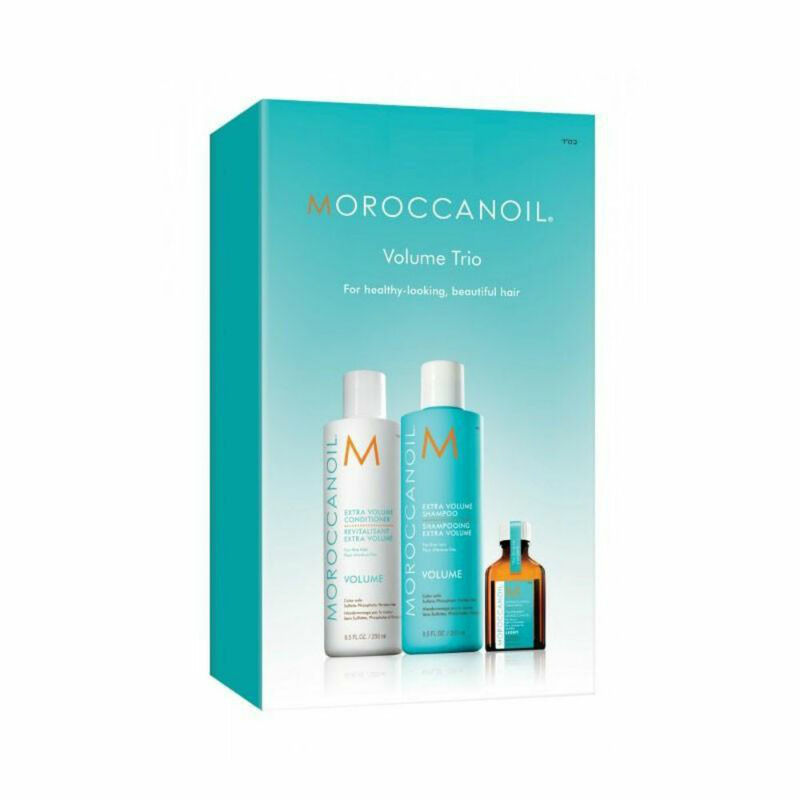 The Moroccanoil Light treatment is an extraordinary argan oil-infused formula that helps to condition and smooth hair leaving it with a luxurious shine. Directions: Massage shampoo throughout wet hair and scalp. Rinse Apply conditioner to mid length and ends of hair. Leave for up to 2 minutes. Rinse. Apply a few drops of Moroccanoil Treatment Light through ends. Can also be used as a finishing product.